In April, we will start using a new dry-hop procedure. With the upcoming firmware update, it will no longer be necessary to use a tea ball to add ingredients during fermentation. If you're using the Brew Portal, you need to update your recipes to have trub removal steps to remove the dry-hop ingredients. We recommend to plan for 2-3 trub removals (over the same number of days) if you are dry-hopping with over 10 grams of hops. 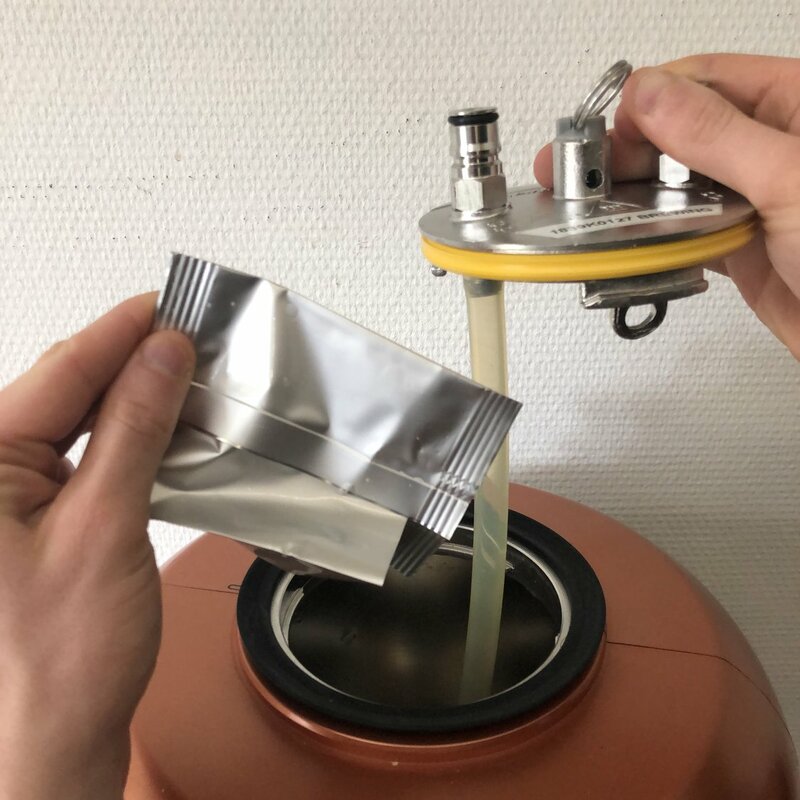 You can trigger a trub removal by adding a conditioning step at any time in the fermentation process. Also, active fermentations will need special attention, as you will no longer receive the ingredient removal user action. If you have any further questions about this update, please fill in our Support Form.